Is Your Business Struggling To Keep Up With The Challenges of Today’s New Technology? Fewer Resources, Unskilled Workforce, New Technologies are why businesses continue to struggle in emerging markets. Your Business Need to Adapt to New Technology Or Die From Not Keeping Up With The Competition. Technology Changes Rapidly! Is Your Business Changing With It? You Need To Keep Up With The Changes In Order To Stay Competitive. 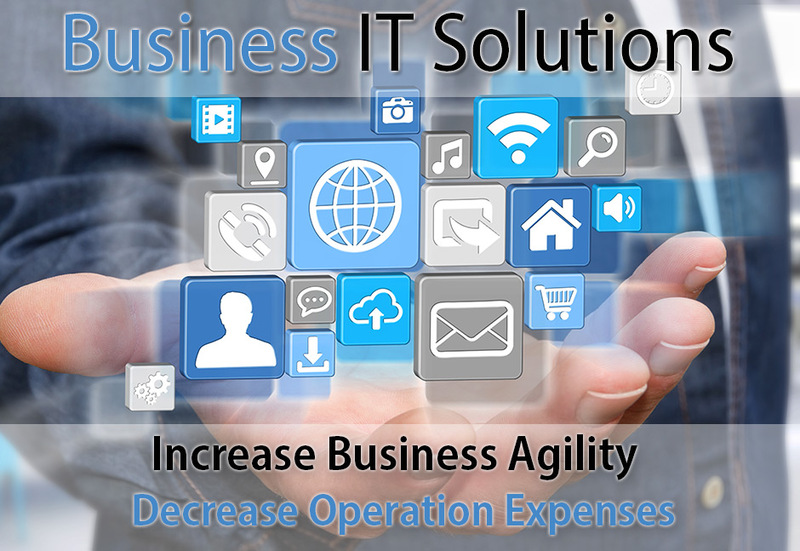 Get Business IT Solutions That Deliver Cutting-Edge, Intelligent IT to Ensure Your Business’s Success. Find out how The Computer Pros of America can Support Your Business IT Needs and Your Bottom Line. ACCELERATE YOUR BUSINESS IT SOLUTIONS TODAY! 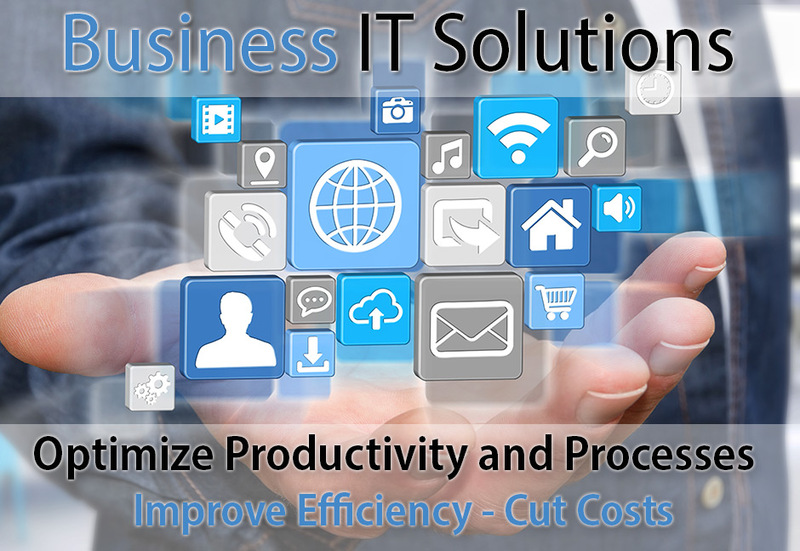 Business IT Solutions – Get Motivated, Keep Ahead of The Competition and Fuel Growth with The Computer Pros Leading-Edge Business IT Solution, Or Don’t! The Choice Is Yours. Choose The Pros! The demand for companies to maximize Information Technology to advance their organization has never been greater in the Long Island Business community than it is today. Competition is fierce. Budgets are tight. Resources are limited. Businesses are expected to be efficient, maximize their resources and increase profits to be competitive. Legacy architectures, antiquated infrastructures, flawed procedures and unskilled labor won’t cut it in the modern age of IT, especially in today’s markets. Businesses need to empower their workforce with the latest social, mobile and cloud technologies, while still maintaining a high level of information security. There is a need to modernize software applications, IT infrastructure and expand the reach of the workforce in order to reduce operating costs and increase performance. Cloud Services and Mobility Solutions empower teleworking resources to be more productive and effective, but the urgency to protect the network and data from unauthorized access, hacking and complete data loss is of the utmost importance. Don’t Let Fire, Storms, Floods, Hurricanes or human error put your business at Risk. Protect Your Business with a foolproof plan to recover from such disasters. Suffering From a Lack of IT Knowledge and Expertise? Reach Your Business Goals With Trusted IT Consulting Partners that Design, Deliver and Manage Your IT Projects! Transform Your Business and Increase Productivity With Experienced On-Site Professional Technicians That Maintain Your IT Systems, Solve IT Issues And Deploy Your IT Projects. Improve The Way Your Business Communicates. Unify and Expand Business Growth. Scale With Integrated Voice, Email, Video Conferencing, File Sharing and Mobile Solutions. Leverage The Power, Innovate Faster and Cut Costs With “As A Service” Delivery. Early Adopters are at a tremendous advantage, Don’t Get Left Behind, Bring Your Business To The Cloud. Mobility changes how businesses connect with customers, how employees work, and how business is conducted. Empower Your Workforce and Give Them Choices, Options and Flexibility. Don’t Put Your Business Or Customers Information At Risk. Optimize Your Security Posture. Maximize Protection and Minimize Vulnerabilities with Multilayered Protection Technologies that Beat Crippling Threats. Are you unhappy about losing the technology war against your competition, disappointed that you don’t have a good technology roadmap for success, concerned that your organization can’t afford to hire a CIO? Can You Afford Not to? Do Your Business Right With The Computer Pros Of America As Your Trusted Partner To Help With Your Managed IT Services And Business IT Solutions Needs? Let’s Do This! As a trusted certified partner in technology, we are dedicated to the success of businesses in the Suffolk County, Long Island, NY Areas. Find out how our Managed IT Service plans can help your business succeed. Get a free consultation today and see how Managed IT Services Can Save Your Business Money. Your business needs to be more innovative while still maintaining control over your organizational costs. You need to fuel modernization and strengthening your business with Best-In-Breed Business IT Solutions that lead you head of your competition. With our 20 years’ experience as a Business IT Solutions Provider, you can rest assure that The Computer Pros of America will always be there to support your business needs and ensure that your IT systems are running optimally. We’ve been particularly successful at evaluating your business and adapting by choosing the right Business IT Solution that will reduce complexity, maximize efficiencies and streamline processes that help to generate revenue, enhance growth and lower expenditures. We will make sure that your Suffolk County or Nassau County, NY business improves workflow and minimizes downtime, to keep your customers and employees satisfied and company moving ahead. The Computer Pros of America’s Business IT Solutions specialize in helping your Long Island, NY business minimize costs, increase productivity and increase your business value that will allow your business to grow and prosper. As your Business IT Solutions provider, we ensure that you’ll get the expertise you need so that you can focus on your core business. Are you confident of your company’s ability to recover following a disaster? Too often, a disaster plan takes a backseat because businesses downplay the importance until a real disaster occurs. The Computer Pros of America specializes in providing first-rate business continuity and disaster recovery solutions. We’ve been particularly successful in helping customers that are concerned about service disruptions and the great financial losses that may occur and unhappy that their business reputation, customer confidence and trust are in jeopardy, disappointed in the amount of time that it takes to recover their business during difficult circumstances. We’ve been able to implement business continuity and disaster recovery solutions that help our customers become more resilient, save their brand, value and reputation, minimize service outages, reduce recovery time and most importantly, save their business from business risk and financial losses that could be catastrophic. The Computer Pros of America specializes in enhancing the success of your business by providing better IT solutions and cost-effective IT consulting services your business needs to attract and develop new business and leverage a competitive advantage over your competitors. We’ve been particularly successful with small to mid-sized companies that are concerned with the high costs associated with hiring full-time IT talent, unhappy with the availability of obtaining experienced experts that bring innovation and new ideas, and disappointed by the lack of execution and maintaining a proper timeline to complete projects on time and on budget. We’ve been able to create affordable IT Consulting Services that allow our customers to solve their greatest business challenges, complete projects on time and on budget and allow our customers to focus on their core business functions that generate revenues and opportunities instead of having to be distracted with IT frustrations. Your Server crashed, the internet service is down, your staff does not know what to do, your business has come to a screeching halt and your losing thousands of dollars. You need immediate on-site help to save your business from losing revenue. The clock is ticking, time is wasting, profits are being lost, what can you do? Your business requires an expert on-site professional IT service technician to bring your business back into production and fully operational, saving your business from losing thousands of dollars in profits. You need a cost-effective Professional IT Services to bridge the IT expertise and IT resource gap that your organization has. Don’t let your business fail by not having on-site Professional IT Services that will keep your systems maintained, streamlined and keep your business from suffering losses due to outages and service interruptions that will cost your business hard earned revenues. For over 20 years, The Computer Pros Professional IT Services has helped businesses control budgets, enhance employee productivity, lower costs and focus on internal IT priorities and projects that enabled their business to streamline operations and maintain excellent up-time. Let The Computer Pros of America’s Professional IT Services help your business achieve its organizational goals and objectives with our On-site professional IT services. Is your company suffering from old, outdated and legacy thinking and technology? Are you unhappy about losing the technology war against your competition, disappointed that you don’t have a good technology roadmap for success, concerned that your organization can’t afford to hire a CIO? Can You Afford Not to? If your small business organization cannot afford a full time CIO, then you need a business driven, cost effective vCIO (Virtual Chief Information Officer) that understands new technology, can help your business win the technology war that will keep you ahead of your competition, set a clear path to help your business achieve success. You need a vCIO to help your organization bridge the gap between business and Information Technology. The Computer Pros have continually surpassed our expectations for a Managed IT Service company. They keep our systems up and running with proactive monthly maintenance. It has been great to have them as a partner to accommodate our IT needs. We have been a Managed IT Services client of The Computer Pros since 2004, and are pleased to have consistent, hi-quality support from their experienced and personable technicians and staff members. Their 24 hour helpdesk support has helped support our business needs during off hours numerous times over the years. We highly recommend The Computer Pros of America to any business that needs Professional Service and a low monthly fixed rate. For over 7 years, The Computer Pros continues to support our organization with exceptional professionalism and expertise. Their Customer Service personnel are quick to respond and provide accurate support in a timely fashion. They are a trusted partner has major contributions to the overall success of our business.